organic circular forms enabling sound to travel. 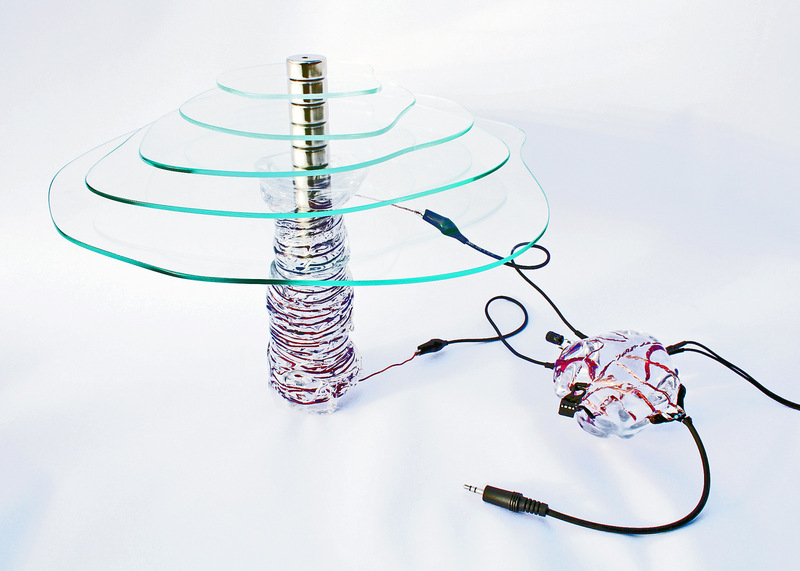 Glass is fused with connected copper wires forming a three dimensional circuitboard. sounds recorded in relation to glass as a material. unpromted process of experimental glass making. as a material for speakers, queries the sculptural properties of sound.